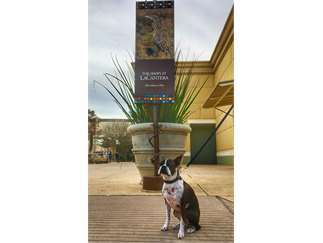 Well-behaved pets are now welcome at The Shops at La Cantera in all common areas, except the children's play area and water fountains. Pet friendly shops are identified through "Take One" brochures at the mall management office and mall directories. Your pet must be leashed, have current vaccination tags on the collar and be under your control at all times. Using a carrier for small dogs is a smart way to go. Be prepared to clean up after your canine friend. The Shops at La Cantera will provide six waste bag dispenser sites throughout the property.